What does it say when a pretty big but flimsy rumor gets shot down by a more reputable (marginally) source, only to re-emerge months later stronger than ever? Should we then give it more credence? Or just assume somebody's fishing around with old bait? 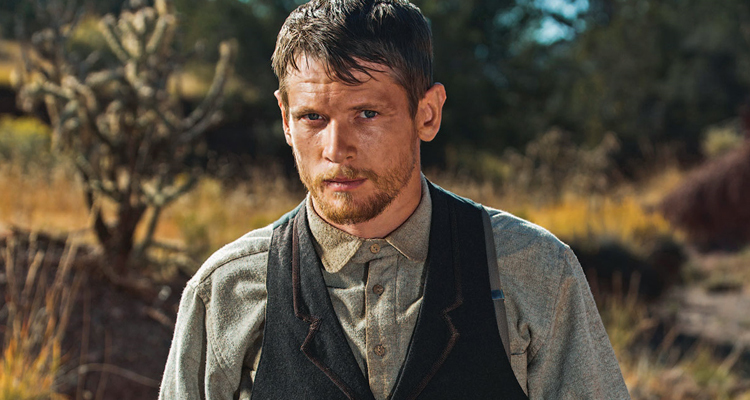 Back in October a rumor surfaced that Unbroken star Jack O'Connell was in line to replace Ben Affleck in The Batman, with the latter officially passing the torch. That rumor was quickly killed, but now We Got This Covered say O'Connell is still very much the frontrunner to suit up as the Dark Knight. According to them, O'Connell is Reeves and Warner Bros. choice, believing the Starred Up actor is "right for the part." If for some reason O'Connell's unavailable they'll go with someone around the same age range, 25-30, and a choice could be named as early as May. That fits if plans are for shooting to begin in November as recent reports suggest. Hearing that Reeves' version of Batman will skew much younger isn't anything new, but honestly we've learned so little about this movie I'm hesitant to trust anything fully. I'm not even completely convinced Ben Affleck is done. Everything must be taken with a hearty dose of skepticism, and that includes past claims of Penguin as the film's primary villain. A new claim made by Heroic Hollywood says that another major villain will be included, but who remains a mystery. I think this was pretty obvious when Penguin's name was first brought up; he's not a compelling baddie on his own and somebody else would need to be added. One way or another we should expect to find out something on The Batman's progress soon. When the new year comes around I immediately start thinking ahead to Comic-Con, which is when many of the biggest announcements will emerge. Warner Bros. usually goes all-out there, and I expect The Batman to be a major part of their presentation. For now I'm considering this nothing more than a rumor.